How can it help us to avoid an inappropriate relationship between the church and the state in South Africa? This story originally appeared in on pages 66-67 of Research at Stellenbosch 2014. It has been reprinted with the permission of the author. In reviewing related news reports it soon became clear that there was no real certainty about whether Nelson Mandela had any formal relationship with the Christian faith, or with a particular church or Christian denomination. The media reported that he was a member of the Methodist Church of Southern Africa (MCSA), and senior clergy from that denomination featured prominently in the public and private pastoral events surrounding his death and burial. Moreover, it was interesting, although not surprising, to see how keen the church (and Christians) were to claim that he was an adherent of the Christian faith. In addition, I was fascinated by how the governing African National Congress (ANC) used the association between Mandela and the Christian faith, (and the MCSA in particular, which is South Africa’s largest mainline Christian denomination) to engage the Christian constituency in order to win voter support in the lead up to the 2014 National Elections. As a public theologian a couple of questions arose in my mind. Firstly, was it true that Nelson Mandela was a Christian (and if so, in what ways was he Christian)? Secondly, was he a member of a specific Christian denomination as claimed in the media? Thirdly, why were the church and the state so eager to support this association between Mandela and South Africa’s largest mainline Christian denomination? Some may ask why this matters? Sadly, South Africa has a painful history of inappropriate relationships of power, influence and privilege between the church and the state. This has serious implications for aspects of our lives, such as freedom of religion and human rights. The abuse of any form of power (whether it be religious, political, economic or social) is dangerous and not in the interests of the common good for all. As a result, my final and most important question in this research was: What lessons could we learn from the relationship Nelson Mandela had with his faith and the MCSA to avoid an inappropriate relationship between the church and the state in the future? his autobiography (A long walk to freedom) in various forms, but also considering other authorised and unauthorised biographies, studying his speeches, letters, interviews and formal and non-formal communication. I also conducted interviews (particularly with chaplains and ministers of religion) who served Madiba in the years where he was not able to communicate publically (mainly after his arrest and imprisonment), but I also interviewed those who cared for him in private during his presidency. In that time he could communicate openly, but tended to be measured about his personal faith in the interests of religious freedom and religious equality in South Africa’s emerging democracy. The interviews were extremely enlightening and gave insight into an aspect of his life that was seldom shared in public, and I was able to source documents that shed some light on his personal faith perspective, his church membership and relationship with the church throughout his life. Sunday school teacher during that period. 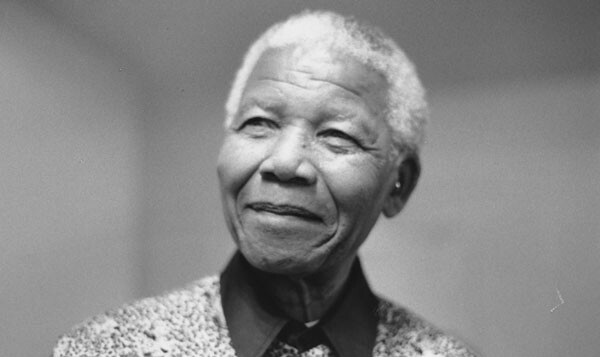 Nelson Mandela’s faith played an important role in his life. In addition, it also impacted the way in which the church and the state relate to one another in South Africa at present. Since Nelson Mandela was such a ‘good person’, the church has at times assumed that all successive national leaders need to be engaged in the same manner. This is a mistake on the part of the church since less moral and reconciling leaders have abused the relationship with their faith and the church for party political aims that are not in the interests of the common good of South Africans. The research asked, and answered, four questions. in the research (denomination, congregation and personal faith expression). His primary identification was however with the church as denomination. Answers to these questions highlighted the fact that there is a need for further critical reflection on the relationship that exists between the church and the state in South Africa to avoid abuse of freedom of religion. This presented the final question. What should the relationship between the church and the state in South Africa be going forward? the state that is intended for the common good of all South Africans. Dion Forster is Faculty of Theology at Stellenbosch University in South Africa. Research for this project and the final paper on which this article is based is available at his blog: dionforster.com.